Recently I have written quite a bit on college days and how times have changed now. The main reason has been my cousin brother who has joined my alma mater this year. So constant interaction with him keeps me updated on the happenings in the college. 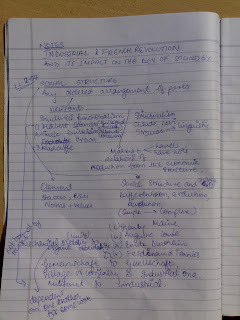 From Anuj I came to know about the serious intrusion of Information Technology in the lives of Pecobians. And recently I also came to know how mobiles are being used to their full potential. Exam time was quite often socializing time - almost whole of the college was to be found at one place – Photostat shop. A God sent messenger was there in every class. 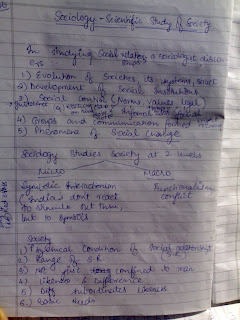 He used to make notes through out the semester and provide his notebook for copying one day before exam. It was a boom time for the owners of those copier machines. But now times are changing. These days with mobile cameras, what is the need to get the notes, go to the shop, wait in the queue, get Photostat, and spend a hefty percentage of your pocket money? This is chill age dude!! Get the notes, take out the 2 MP camera, click photographs of notes, transfer to your laptop and if needed make an e-book out of it. And maybe go ahead and put this eBook on your website/blog. The rest of the class will be more thankful to you than the poor chap who painstakingly wrote the notes in first place. If this all sounds far fetched, see the images below. The source for these images and the idea which is mentioned above is my brother who as you can well imagine has sessionals starting soon. We didn't have much use for class-notes, but due to lack of text-books, we used to get a lot of photocopies of reference books. Now this is one idea we would have never thought of. @fleiger: ya innovative ideas indeeed..
who would have thought of even having a mobile during our initial college life!! filmfare - advanced info!!!! cool..
i guess they are to be telecast ed today evening.. True... 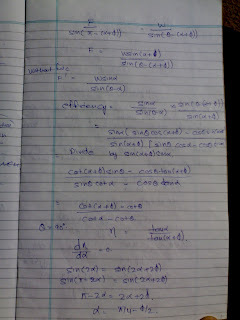 I got a reliance cell in my last term, which was one of the few in our class. (Though almost the whole class got cells once we graduated). Camera phones were a novelty and extremely expensive except for a few rich students. @Filmfare... I got it off Indiatimes. @fleiger: on india times. one info is wrong... alka yagnik didn't get best playback for KANK.. sunidhi chauhan got it for "Beeedi(omkara)"
Good article again Sid. Really technology bahut hi kaam ki chees hai lekin jo human element hota hai woh chala jaata hai. Iss case mein hi dekh lo, woh ladka/ladki jisne class attend karke mehnat se notes banaya tha uska koi mol nahin raha. Kya achcha hai kya bura, yeh to main nahin decide kar sakta, lekin technology bahut difference karta hai achcha ya bura. Technology used in the way it has been is good or bad is debatable... Nevertheless, it is innovative!!! @amrut: I agree.. very innovative! !